SATIRE COMPOSED: Giorgio Coniglio, August 2018. The involved verses have been published, or are under review at OEDILF.com, the online humour dictionary. At the bottom of each slide, a reference number is given for the published dictionary entry. SONGLINKS: The underlying concepts for these verses had been adapted as parody-lyrics and set to the music of an ABBA tune in 2013. 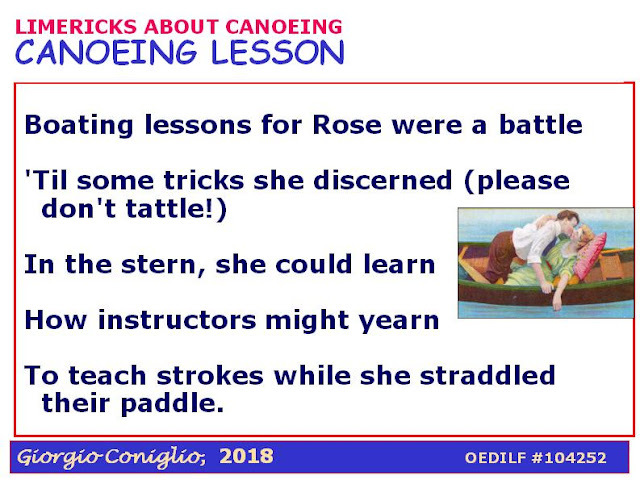 See the blogpost "Canoe, Canoe, Canoe, Canoe, Canoe" on our lyrics blog "SILLY SONGS and SATIRE". 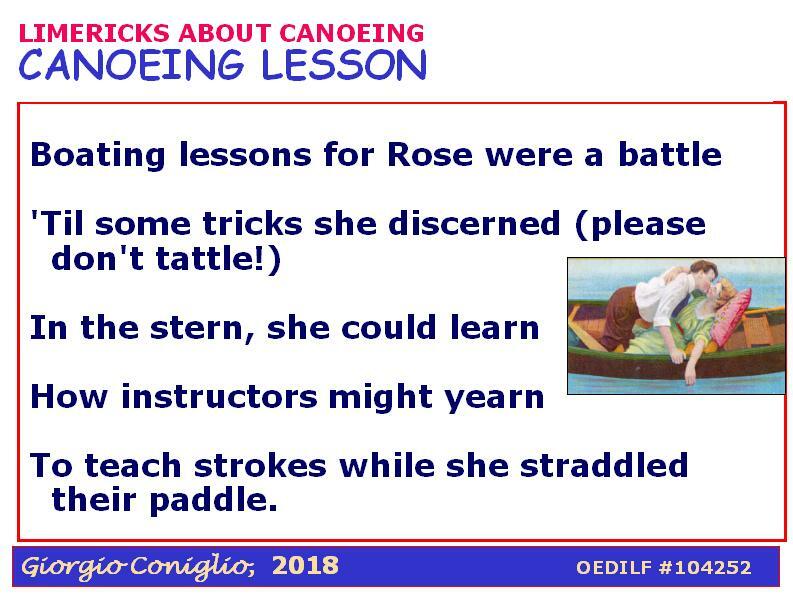 The lines set out in the verses below evolved into a second nostalgic song about canoeing, which can be viewed here.